If you are under 70 lbs and at least 7 years old, you can still participate but you may be required to ride tandem with a guide or another lightweight sibling. Please inform us of any lighter participants in your party upon making the reservation so we can make arrangements. 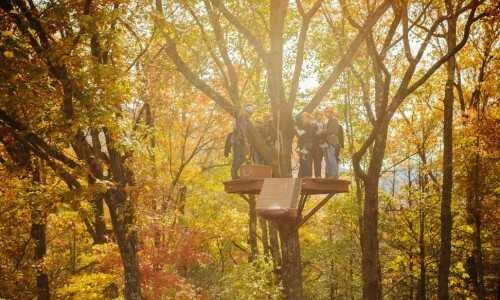 270 lbs (for heights 5′ 10″ and over) and 250 lbs (for heights under 5′ 10″); No one over 6′ 8″ can participate. Everyone must wear closed-toed shoes. No Chacos or Five Finger shoes. We recommend you be in moderately good health. You are able to stand on your feet for 3 hours, and comfortable walking half a mile on even terrain. We strongly discourage from participating anyone that has recurring injuries, recent surgeries, or difficulty lifting your legs to your waist. You will also not be required to drag yourself over spans of cable. Our carefully designed course, innovative brake, and expert staff will take care of you from start to finish. You just have to worry about having a great time. Everyone must sign a participant form. Those under the age of 18 must have a parent or legal guardian sign the participant form. 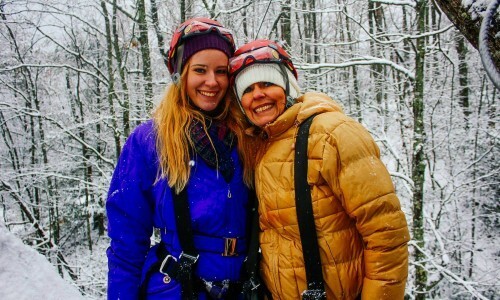 Participants must be at least 15 years old to zipline without having an adult accompany them on the tour. Participants ages 7-14 must have an adult go on the tour with them. Smoking is not permitted once you get into the harness. Those that have existing or recurring injuries or have recently had major knee, back, or leg surgeries. For any questions regarding if you or someone in your party should or should not participate, please give us a call at 865-325-8116. Booking groups is easy. You can book online or give us a call. When you book online, discounts are applied automatically. Save breaking a sweat for the activity — not the planning. For cancellations 48 hours before your scheduled tour you will receive a full refund or we will reschedule your visit. Under 48 hours all reservations are considered final and no refund will be given. Much preparation is required and expenses are incurred to accommodate each scheduled tour and due to limited space others have likely been turned away for your tour time. Please notify us as soon as possible if changes need to be made with your reservation. 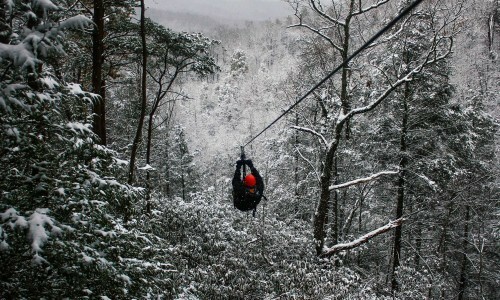 Remember our zip line tours will operate rain or shine. All cancellations due to weather will be the decision of the CLIMB Works staff, and are generally caused by thunderstorms, heavy rains, or high winds. If this happens we will do our best to contact you before and reschedule or provide a voucher for another time. If you are unable to attend another time a full refund will be given. We take all riders on a guided first loop on our premium trail so beginners can learn the basics of biking and more advanced riders can learn new techniques and tricks. Comfortable clothes are recommended. Rain can come and go very quickly so we recommend wearing clothes that you don’t mind getting a little wet. ONLY if it is secured somehow with a strap or otherwise. CLIMB Works also takes photos of you ziplining available for purchase. Glasses and sunglasses can be worn. If you plan on taking them off we recommend having a strap. Items such as inhalers, nitroglycerine pills, or epi-pens. Including long necklaces and hoop earrings are not allowed. 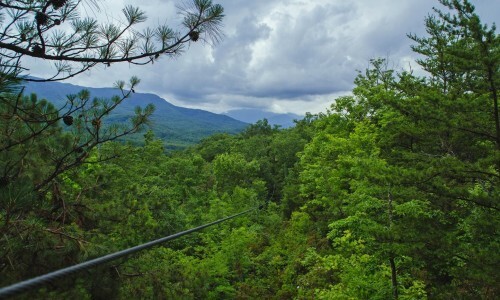 Items such as phones, keys, water bottles, etc that can fall out while ziplining. 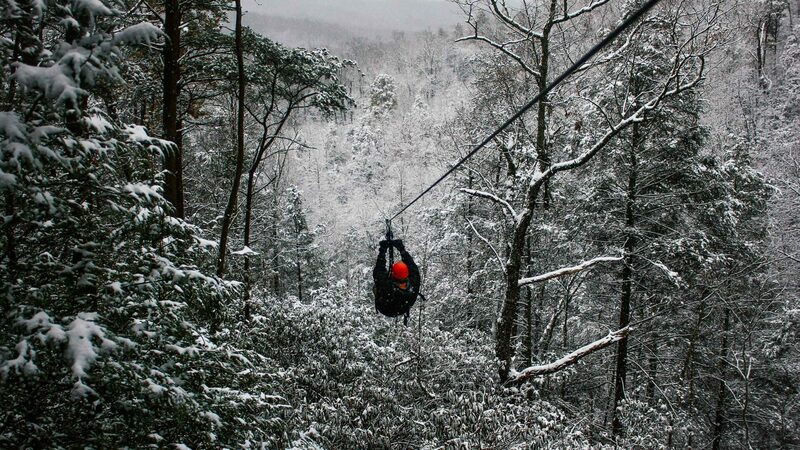 This is for the safety of those working or traveling under our zip lines and platforms. Leave valuable items at home. We can hold onto your phone and car keys behind the front desk. Everything else must be left in the car. We follow and exceed all industry safety standards set by ACCT and ANSI. Safety is always our first priority and we have the track record to prove it. So if you are nervous – don’t be. 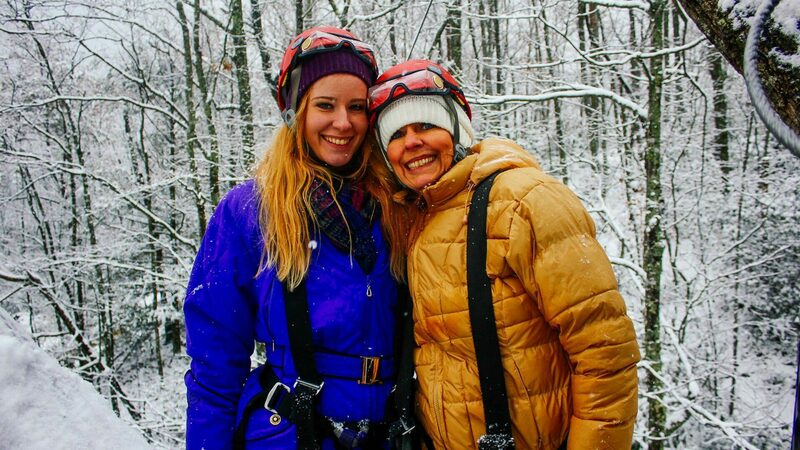 Throughout your tour you will always be safely secured and our trained guides will take care of all equipment transfers to hook you up to the zip line and other parts of the course. You’re in good hands. Is it safe for first-timers? Absolutely. Our trained staff takes care of you from start to finish and takes care of all necessary safety operations. 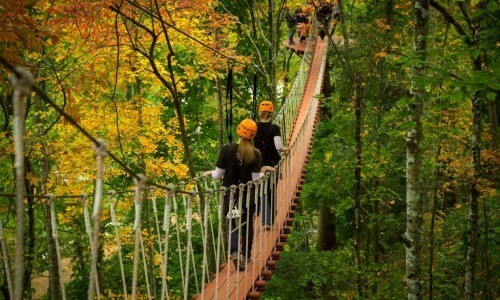 Also, we use the best in zip line braking, the ZIPKEA, which eliminates riders having to “hand-brake” or drag themselves over spans on cable. For more information on ZIPKEA, visit www.hackwellinnovations.com. CLIMB Works’ background is in safety training and has years worth of professional training experience. Each of our trained guides that will take you through your tour has undergone thorough and extensive safety training; we also require ongoing training to maintain a high level of safety. These trainings include basic safety techniques and protocol to advanced rescue scenarios. 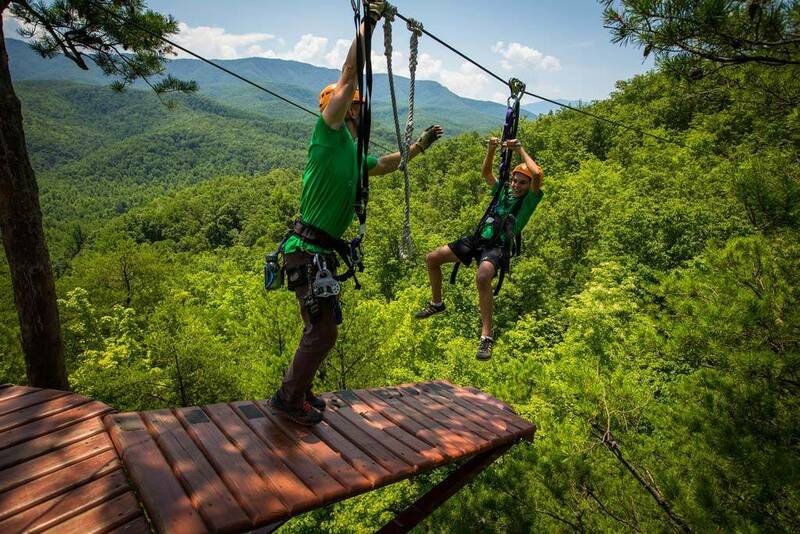 CLIMB Works builds zipline tours all over the country. To go above and beyond the industry safety standards, we team up with structural engineers, professional arborists, and other industry professionals. With years of experience in course design, construction, training and inspection, we lead the industry in innovative safety practices. By eliminating “hand-braking,” we have taken the safety issue of speed regulation out of the hands of participants and put it into the hands of experts. Every part of our course has built-in redundancies for added security. All equipment used complies with and exceeds industry standards, and is inspected before and after each use. How good of physical shape do I need to be in? 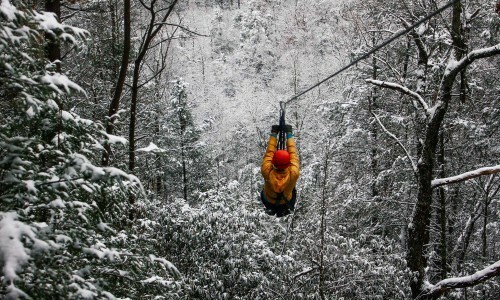 Ziplining is actually really easy and doesn’t require any special strength. Most people have no problems participating; we have 7 year olds to 90 year olds. We do recommend being able to stand for 2.5 hours and being physically able to lift your knees to your waist. See Requirements for more information. Yes. Reservations are very strongly encouraged. We will do our best to accommodate walk-ins but there is no guarantee there will be openings. During busy seasons it is recommended to make a reservation at least 5 days in advance to ensure you reserve your preferred time. We are closed on Sundays. You can book online or call us at 865-325-8116. Why do I have to be there 40 minutes early? During this half hour you will check in, get geared up, and receive instruction. It is VERY important you are on time. What if I arrive late for my reservation? Due to the nature of a reservation business, we cannot accommodate late arrivals and your tour will leave without you. No refunds will be provided. Do you have bathrooms at your facility? Yes. There are bathrooms at our check-in area; however, there are no bathrooms on the tour. Do you have lockers at your facility? Yes. We have small lockers to hold your keys and small items. Everything else must be left in the car. If you choose to take your phone and keys with you on the tour, items must be secured. We are not responsible for lost items. Yes. 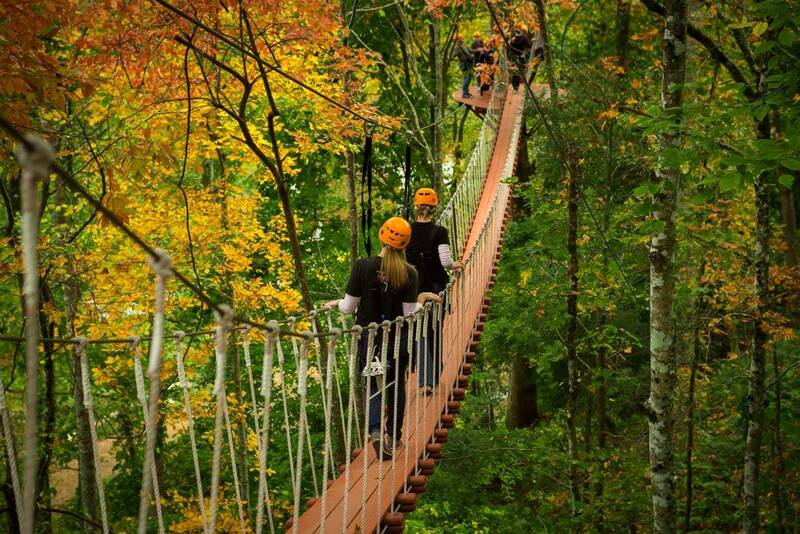 We operate rain or shine.The Smoky Mountain eco-system comes alive during rainfall and is an exciting place. Ponchos are available upon request. We do not, however, operate in thunderstorms or extremely high winds. What happens if severe weather occurs on tour? Although we cannot predict what the weather will do, our staff is trained to make decisions as to when to continue and when to reschedule. Each platform has a way to get each participant safely off of the tour and onto the ground where we can take you back to the main office. Depending on how far you made it through the course, we can reschedule or partially refund you. 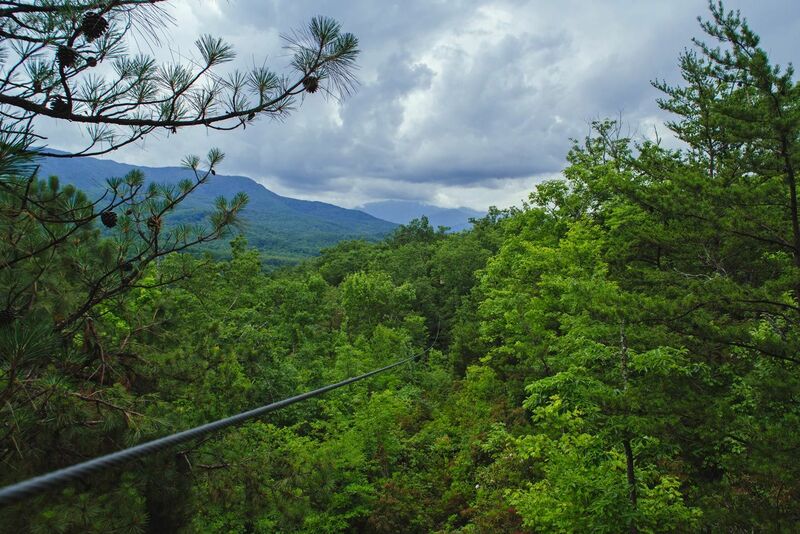 Remember our zipline tours will operate rain or shine. All cancellations due to weather will be the decision of the CLIMB Works staff, and are generally caused by thunderstorms, heavy rains, or high winds. If this happens we will do our best to contact you before and reschedule or provide a voucher for another time. If you are unable to attend another time a full refund will be given. Please notify us as soon as possible if changes need to be made with your reservation. For cancellations 48 hours before your scheduled tour you will receive a full refund or we will reschedule your visit. Under 48 hours all reservations are considered final and no refund will be given. Much preparation is required and expenses are incurred to accommodate each scheduled tour and due to limited space others have likely been turned away for your tour time. Yes as long as it is secured with a strap. 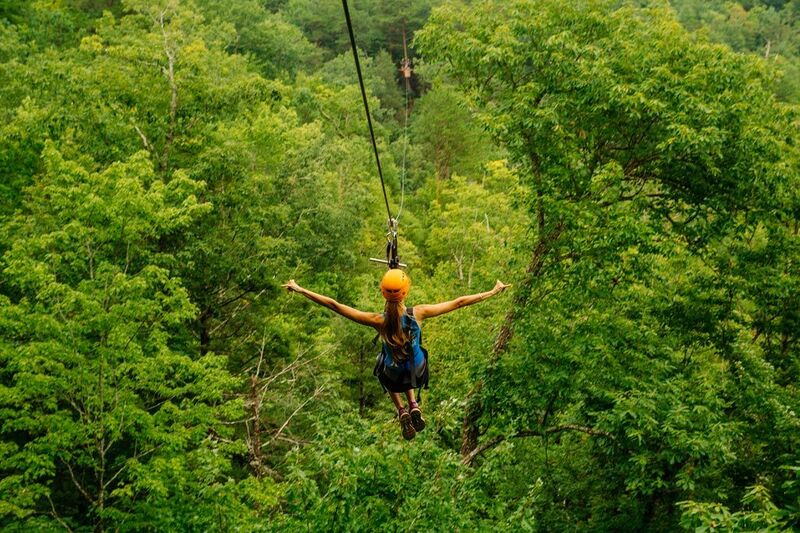 We do not allow unsecured items that can fall out while ziplining. 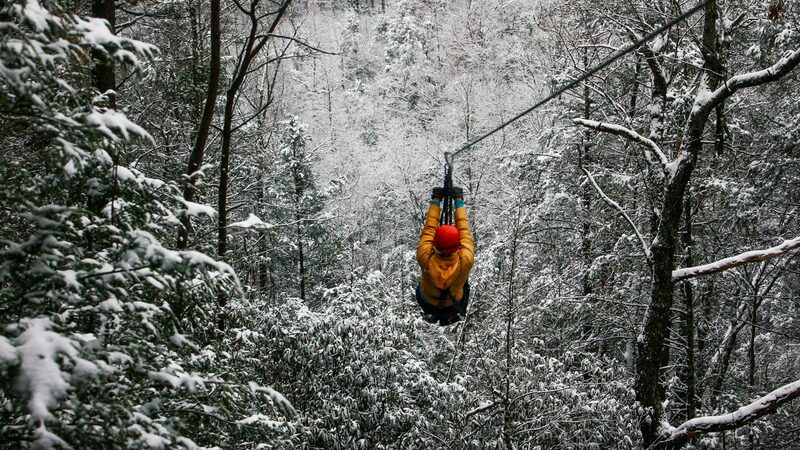 This is for the safety of those working or traveling under our zip lines and platforms. CLIMB Works also takes professional photos of each participant and group from carefully chosen places that capture the most scenic parts of the tour. These photos are viewable and available for purchase directly after the tour. 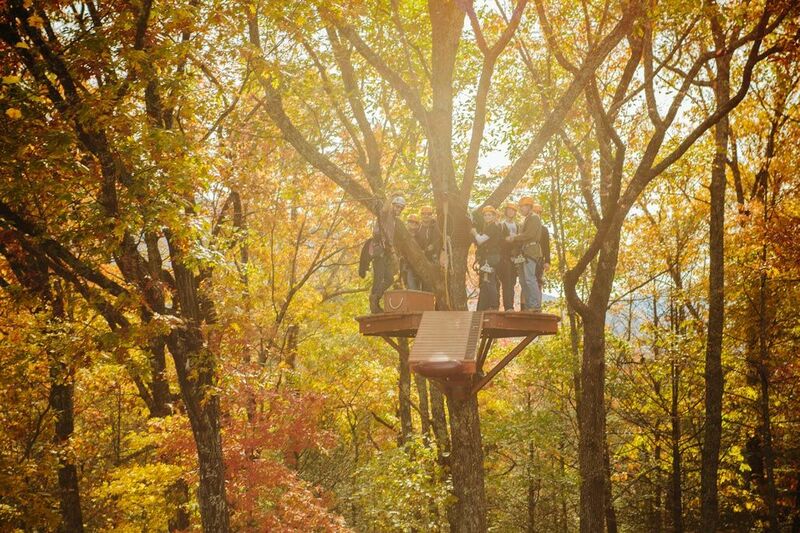 Will I be hooking myself up to the zipline? No. Our expert staff will be taking care of you from start to finish. Will I need to brake or stop myself on the zipline? No. You will NOT be required to “hand brake” or drag yourself over spans on cable. Our carefully designed course, innovative brake, and expert staff will take care of you from start to finish. You just have to worry about having a great time. We strongly discourage from participating anyone that has recurring injuries, recent surgeries, or difficulty lifting your legs to your waist. No. We drive you to the top and there is a short walk at the end. Can I just watch my friends/family do it? Due to the nature of the course and how it is set up over 60+ acres, you will not be able to watch friends and family go through the course. Yes. Just make sure they don’t fall off your face if you look down. We are not responsible for lost items. 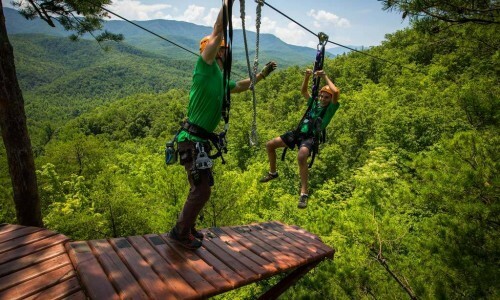 We offer two world-class zipline tours at CLIMB Works Smoky Mountains – our brand new Mountaintop Zipline Tour and our top-rated Treetop Zipline Tour. Tips are not expected but greatly appreciated. If you do decide to tip your guides, there is no expected amount. Dress appropriately for weather. Comfortable clothes are recommended while short shorts, loose jewelry, and baggy clothes are not recommended. Rain can come and go very quickly so we recommend wearing clothes that you don’t mind getting a little wet. My child is at least 7 years old but weighs under 70 pounds. Can they still go? Call 865-325-8116. Our friendly staff will gladly answer all of your questions.